The rich Detox Face mask with green clay immediately quenches dehydrated skin. Green clay is rich in magnesium and other minerals that make it ideal for the general improvement of the appearance and quality of the skin. The miraculous aloe Vera, hydrates, increases the production of collagen and reinforces skin defense keeping it soft and vibrant. Green clay: the use of clay for therapeutic purposes is lost in the depths of history. It is both anti-inflammatory, healing, soothing, antiseptic and antibacterial. It is particularly rich in mineral salts and is suitable for oily and mixed skins. It is especially recommended for oily skin because it effectively regulates sebum secretion, tightens pores and removes dead cells. Aloe Vera: The benefits of Aloe Vera have been known for 2000 years. In 1959, the National Agency for Medicines officially ratified the important properties of aloe vera. Among the active ingredients of aloe vera include vitamins A, C, E. Vitamin A is renowned for its regenerative properties, vitamin C for antioxidants while helping to create collagen and vitamin E prevents damage to the cell membrane. 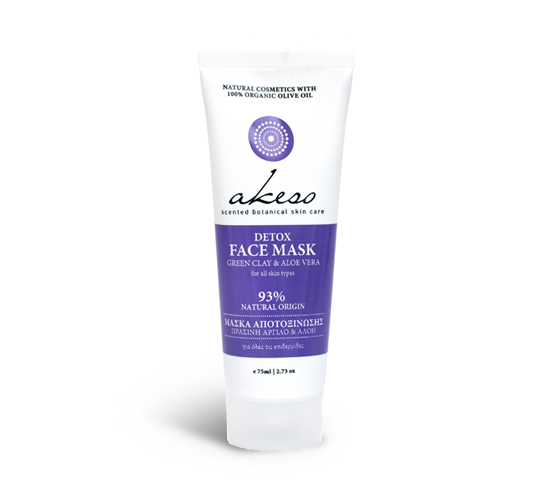 Apply a thick layer of the mask on cleansed skin, avoiding the eye area. Leave on for 10 minutes, remove excess cream with a damp cotton pad and then rinse well.